The trail is currently closed due to the Holy Fire. This can last years, so please plan accordingly. 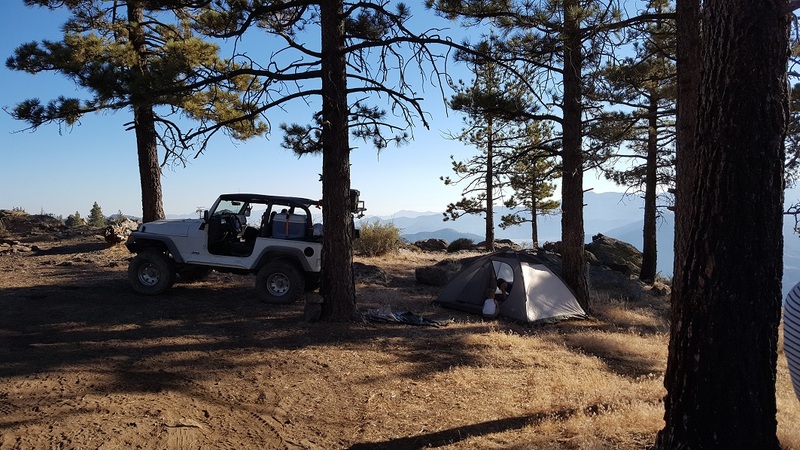 This local overland getaway is a great goto for people that live in Orange County and Riverside area. 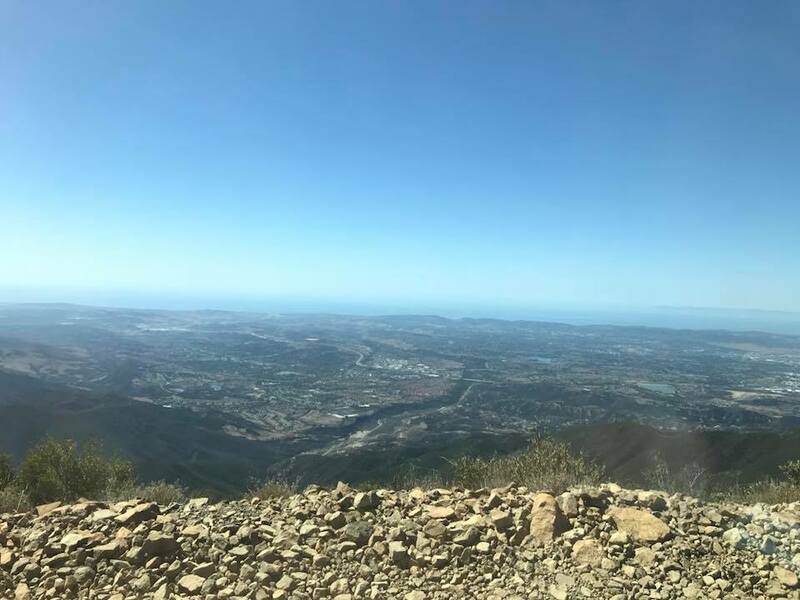 The trails are not known for a challenge but for the amazing views of all of Orange, Los Angeles, and Riverside County. On top of that, there are many great spots to stop which are perfect to relax and get away from the hectic city life. The trail is currently closed due to the Holy Fire. This can last years, so please plan accordingly. 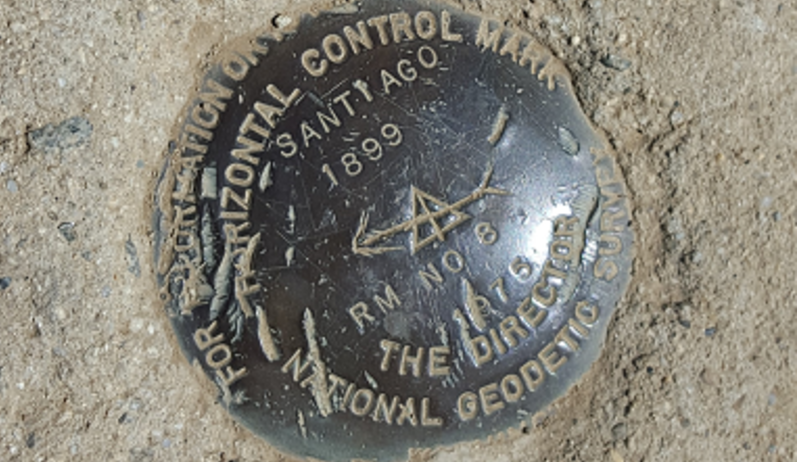 When traveling to Santiago Peak (Saddleback Mountain) expect a very bumpy trail with lots of articulation spots. The trail has many small to medium rocks and holes scattered throughout the trail. 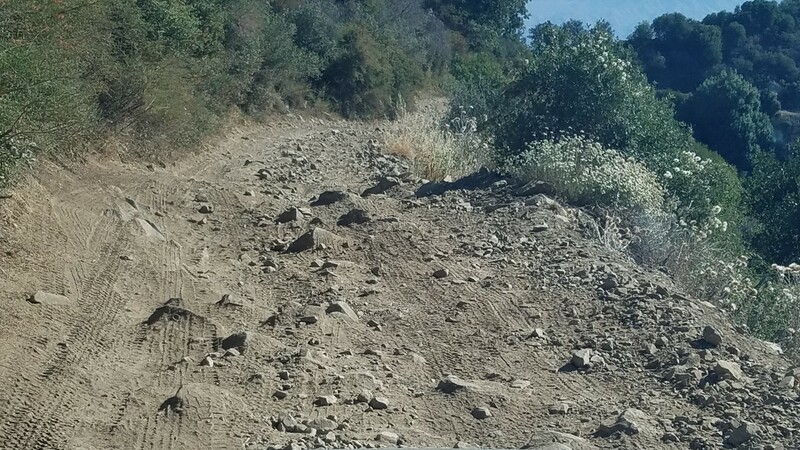 In some spots these rocks are up to 6 inches sticking out of the ground while the articulation spots may require you to undo your sway bars to make it up the hills. All the play areas have been closed over the last few years leaving only the trail. 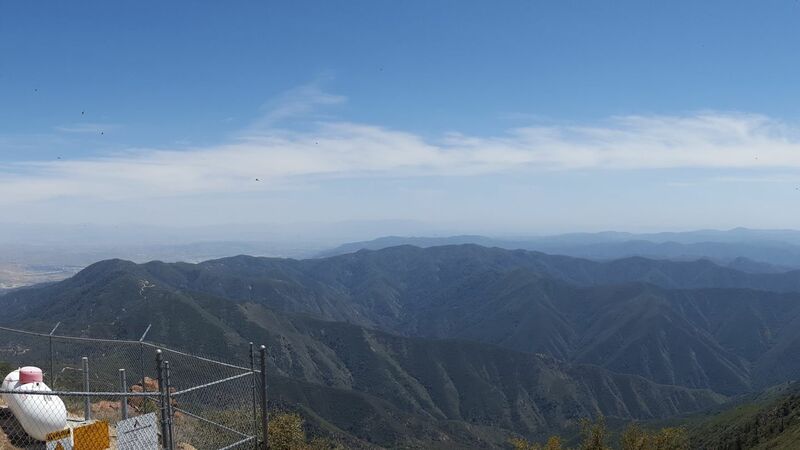 The trail is currently closed due to the Holy Fire. This can last years, so please plan accordingly. The Trail starts on the north side of the road and quickly turns around the hill side. Stay left on Main Divide Trail to continue to Santiago Peak. Right takes you down 5S01 - Indian Truck Trail to Corona. 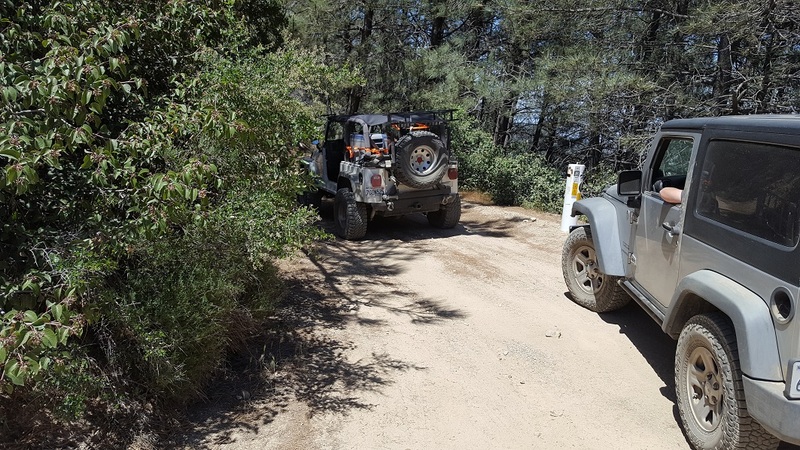 You will cross a wooded area that wasn't effected by the fires. 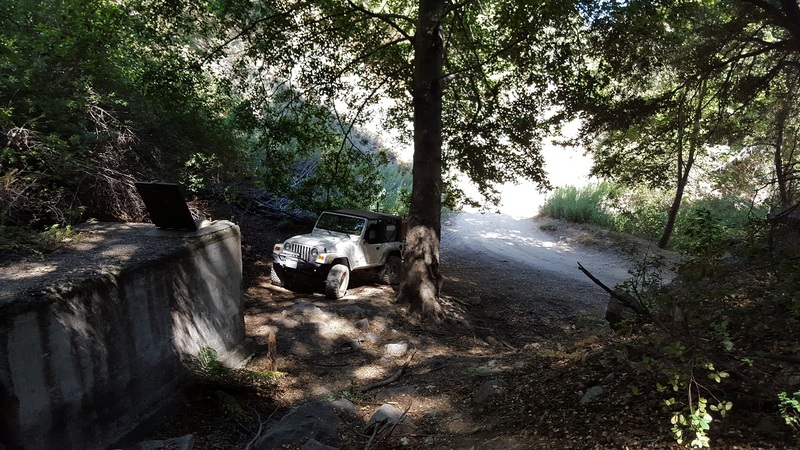 This area is Bear Springs and is also the top of Trabuco Canyon aka Holy Jim Canyon. 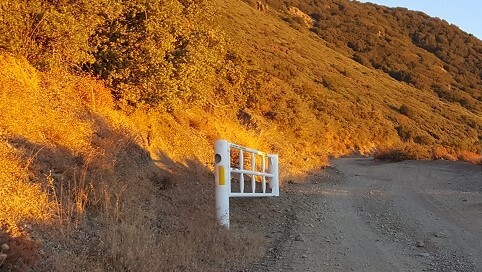 There is a hiking trail on the lower side of the road that will take you all the way to Trabuco Canyon aka Holy Jim Canyon. Along the route there is a large waterfall which is one of the tallest waterfalls in the U.S. (when water is actually flowing). 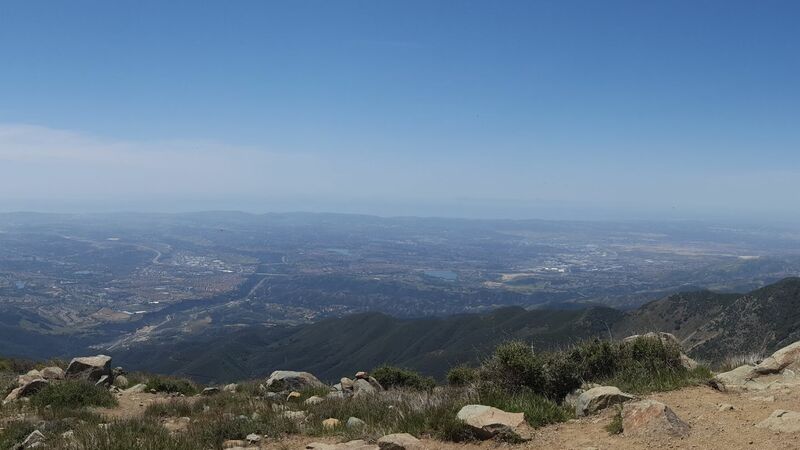 The highest point in Orange County and easily the best view. 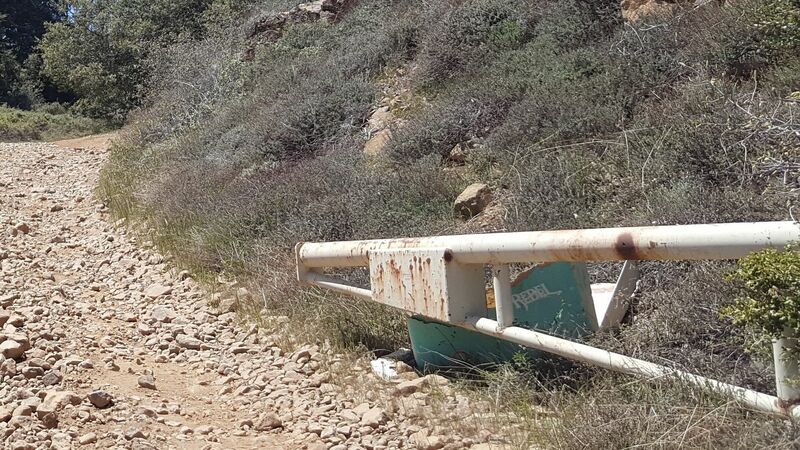 There is no wonder why people travel this road all the way up to Santiago Peak on a regular basis. 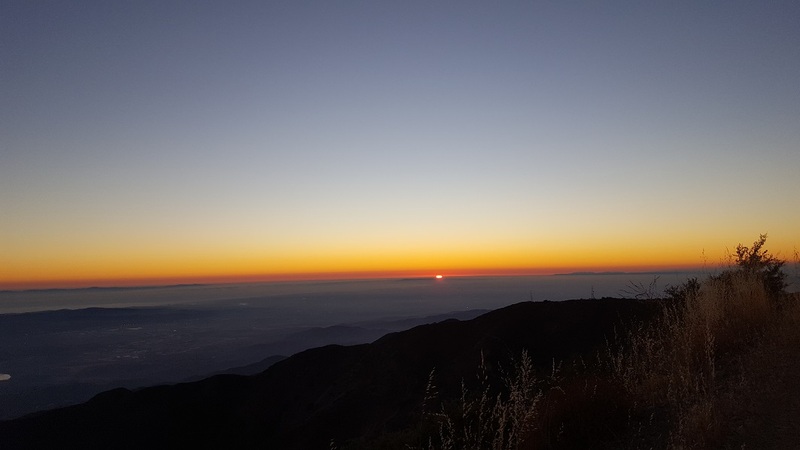 I personally recommend doing an evening run up the mountain and watching the sunset. If you continue on the trail, it takes you down the west side via 3S04 - Main Divide Mid to either Bedford Canyon or Corona Maple Springs / Silverado Canyon Bedford Canyon / Corona The 2nd and 3rd photo are part of a 360 degree view of the area which is continued on waypoint 5. 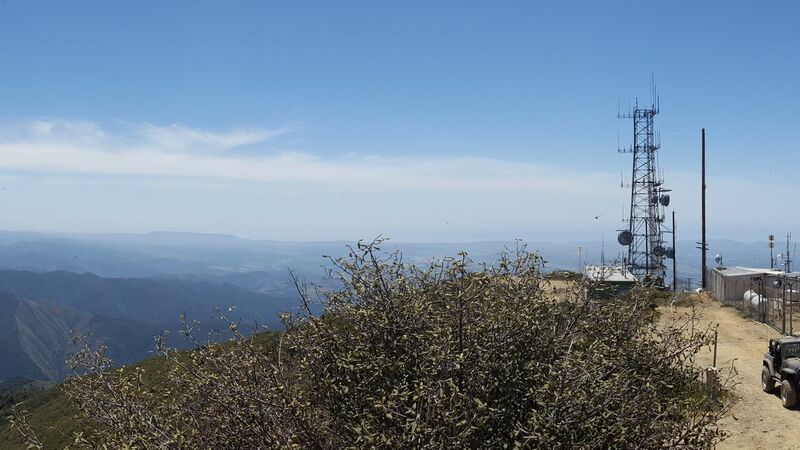 Remaining 360 degree view of the highest point in Orange County. 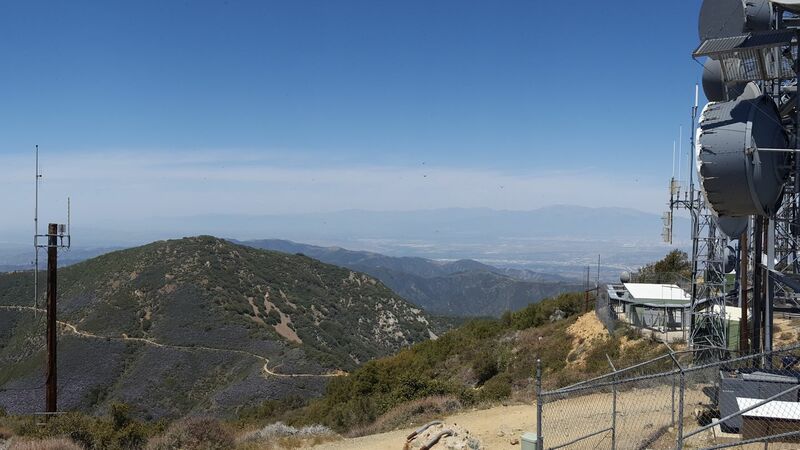 The Orange County side: The trail begins at the top of Saddle Back Mountain and heads South. 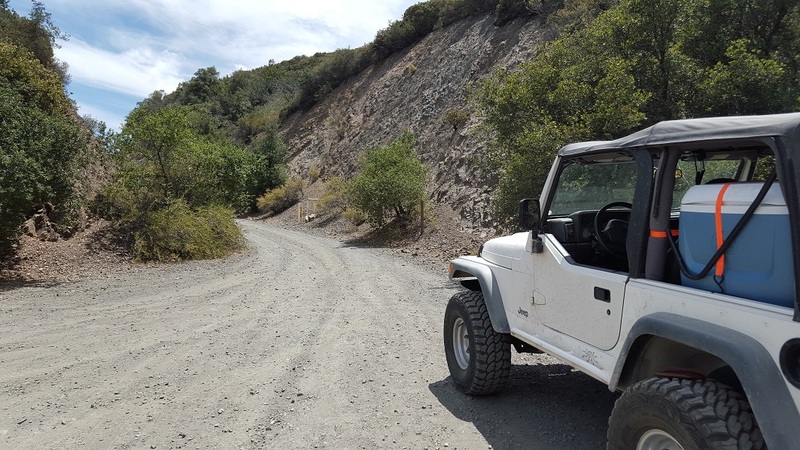 The shortest route there is to take Maple Springs to 3S04 - Main Divide Mid to the top of the hill. . From the southern end: Take Ortega Highway (74) to where it peaks in the pass. From Hells Kitchen, take 74 east 3/4 of a mile. Turn North on El Cariso Road. Immediately stay to the left then right onto Main David Road 3S04. (This is not a dirt road). Take this road roughly 4 miles to where Main Divide Road splits off the road and heads north. Q: Need to air down? I have a Jeep Cherokee Trailhawk. A: You don't have to, but I usually do. By doing so it makes the ride a lot better. 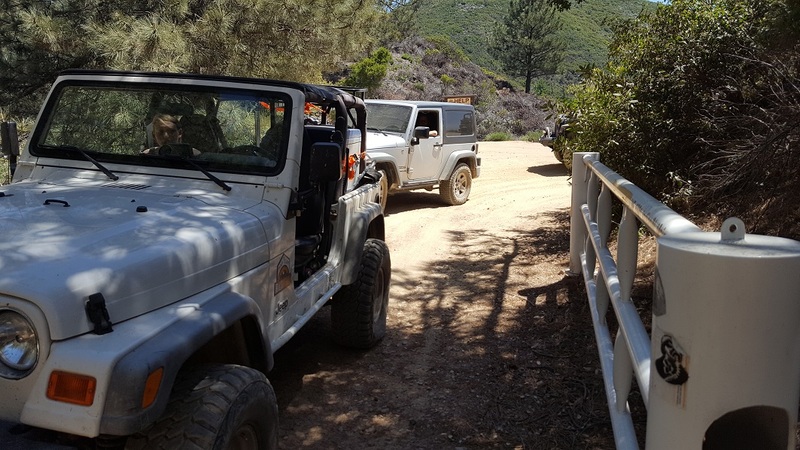 I called the Trabuco Ranger District office and the closure of just about everything in this ranger district could last years, yes, years. Maple Springs and Bedford are the only things open according to this ranger. Please call to confirm before wasting your time up here. Their website is grossly out of date so calling is the only way to know for sure. Road is closed from Maple Springs/Bedford Rd to the west and Indian/Ortega Hwy to the east due to the Holy Fire. Only those with keys can access it for the time being, no date on reopening at this time. I entered the trail from the north coming up Maple Springs. A rough road at times especially when approaching Santiago peak. 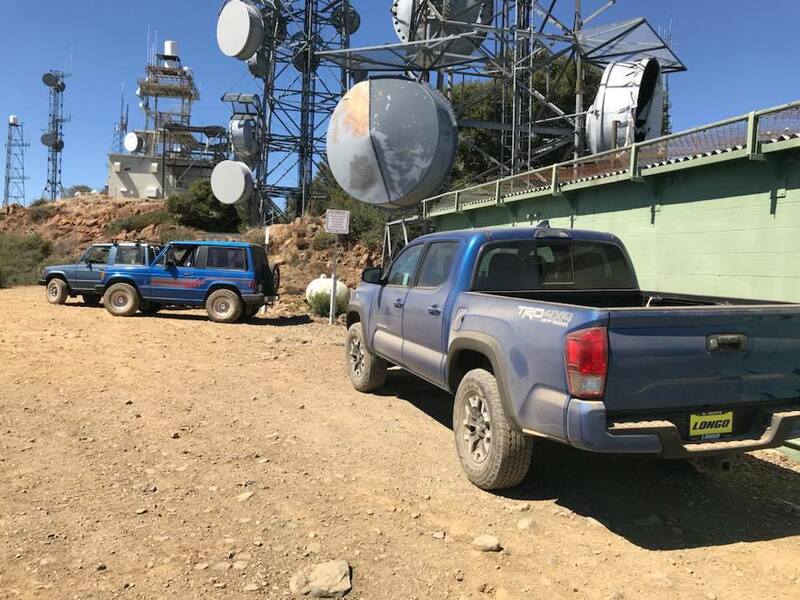 There were many utility pickups using the road, some pulling trailers that were doing work on the radio towers at Santiago Peak so two wheel drive but high clearance is needed. Great views looking east and west. 78 degrees at the top so nice respite from the heatwave below.. 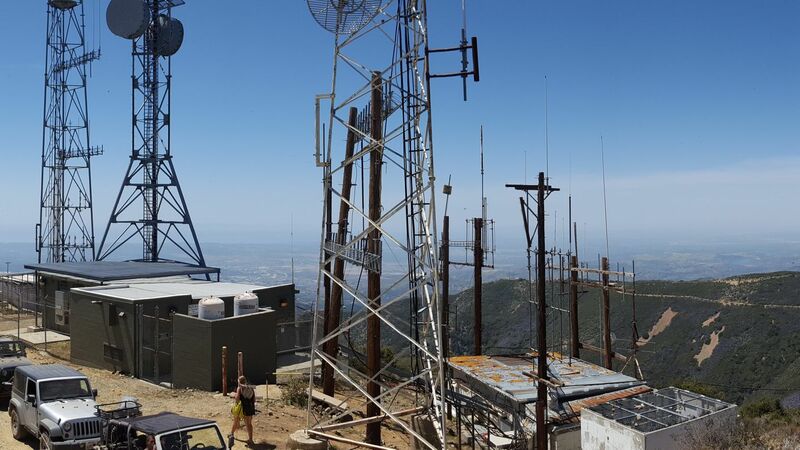 I had my assent to the Santiago peak. 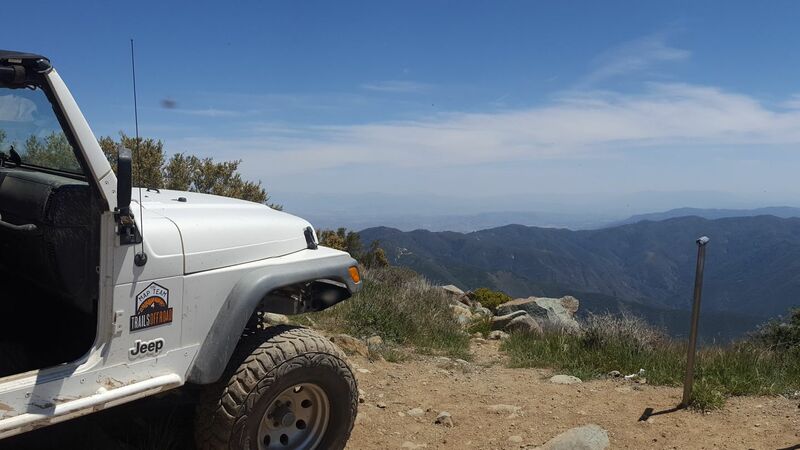 On the way up i took the Maple Spring Road - Silverado Canyon - 5S04 and then took the Main Divide - Middle Section to Saddleback - 3S04 all the way up to Santiago peak. 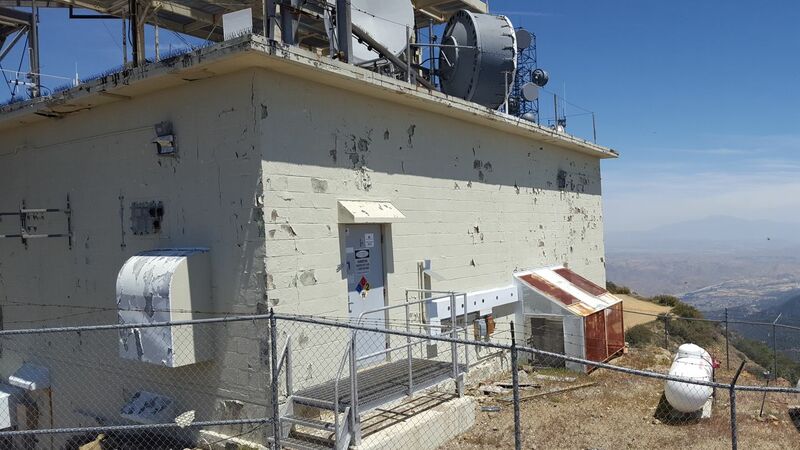 Weather was nice in mid 60s and clear view of OC and riverside county. 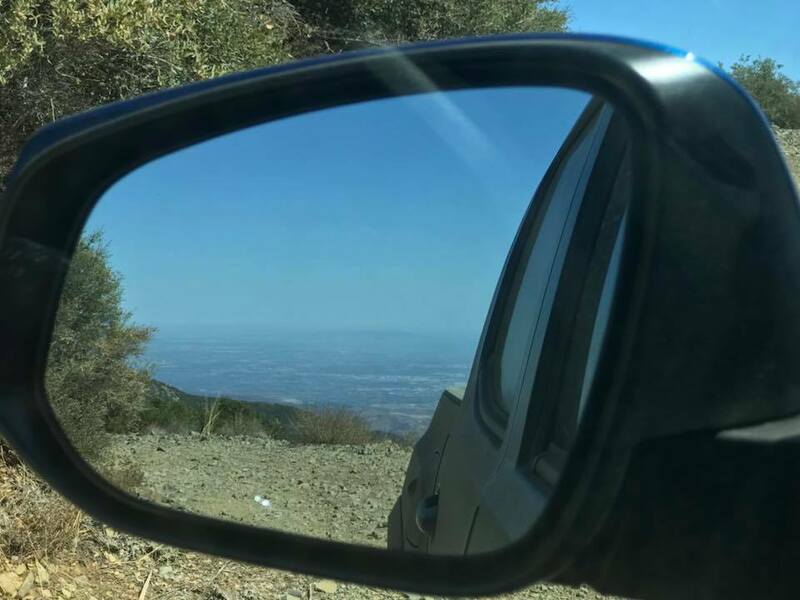 I stayed on the peak for like an hour and then on the way down i took 3S04 - Main Divide South all the way down to Ortega pkwy 74. Being on my first trail along with my new 2017 Toyota Tacoma 2017 Off Road i enjoyed every minute of the drive. i would recommend it to every beginner. 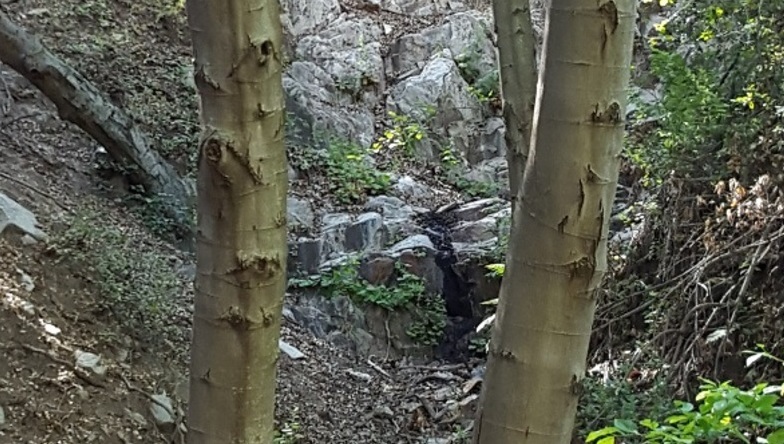 Great little trail, especially for those living in OC or Riverside. 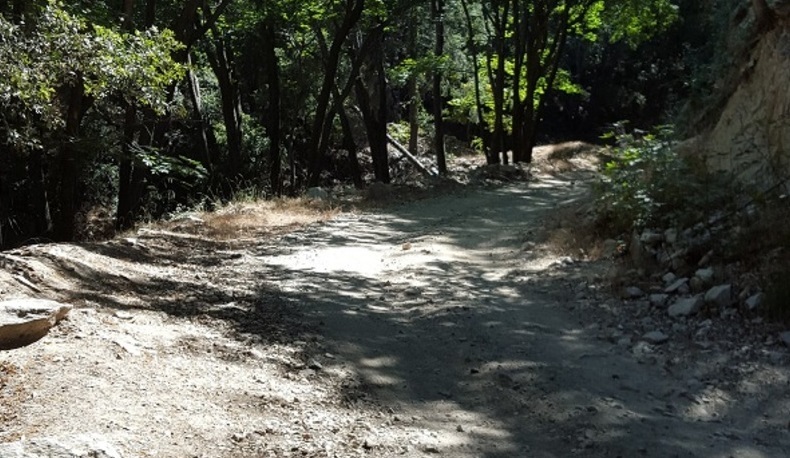 Not a challenging trail, but the scenery is impressive, and you get very different terrain as you go, as well as different trees and shrubbery. 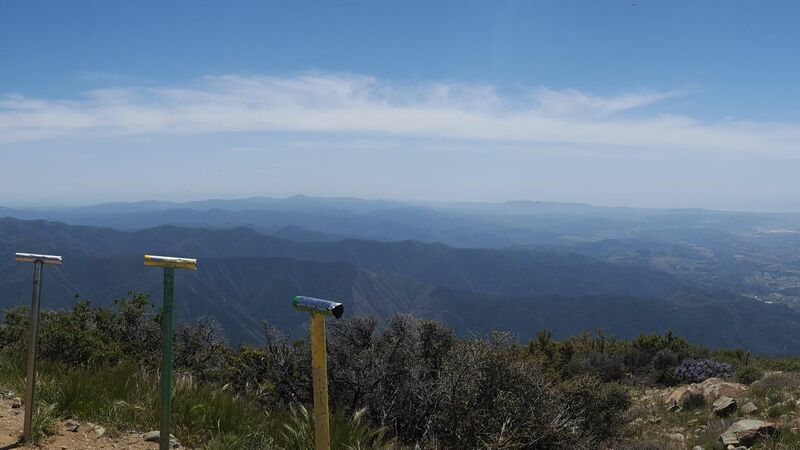 The view from the top is spectacular on clear days. 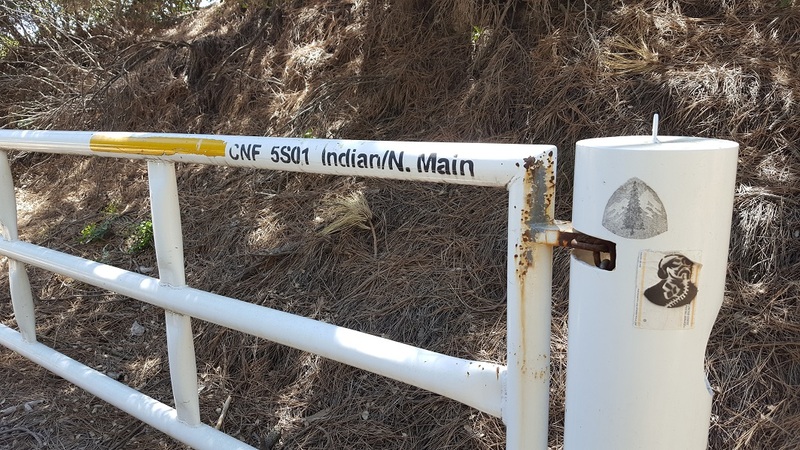 Check to make sure this is open following the Holy Fire in August 2018.